Grand jury hears from lobbyist in Trump Tower meeting with Donald Jr.
Rinat Akhmetshin, who says he met with the president's son, Jared Kusher and Paul Manafort, has denied reported ties to Russian intelligence. 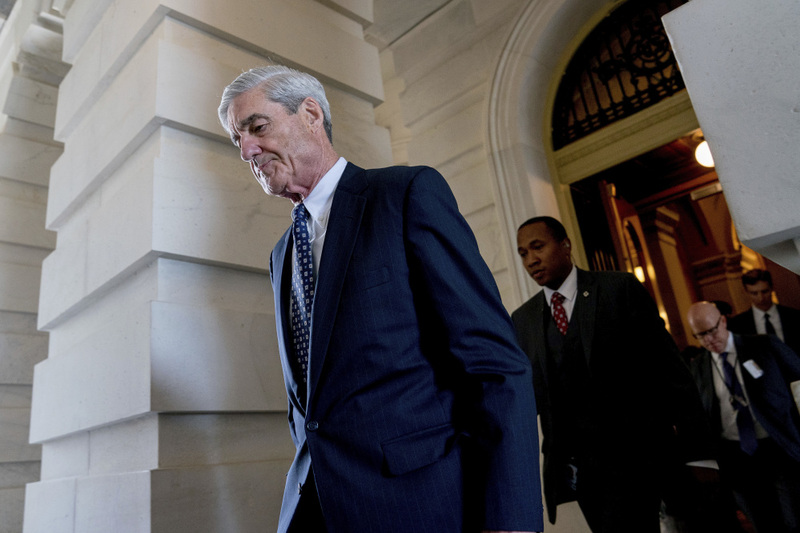 WASHINGTON — A grand jury used by Special Counsel Robert Mueller has heard secret testimony from a Russian-American lobbyist who attended a June 2016 meeting with President Donald Trump’s eldest son, The Associated Press has learned. The Financial Times first reported Akhmetshin’s grand jury appearance. Reached by the AP, Akhmetshin declined comment. Peter Carr, a spokesman for Mueller, also declined comment Wednesday night. The confirmation of Akhmetshin’s grand jury testimony comes after he spoke at length about his involvement in the Trump Tower meeting in an interview with the AP last month. In addition to Akhmetshin, other attendees at the meeting included Russian lawyer Natalia Veselnitskaya, music publicist Rob Goldstone — who helped arrange the gathering — and a translator. Ike Kaveladze, who also goes by the name Irakly Kaveladze, also attended the meeting. Kaveladze works for a Russian developer who once partnered with Trump to bring the Miss Universe pageant to Moscow. “If it’s what you say I love it especially later in the summer,” Trump Jr. wrote in one email response.